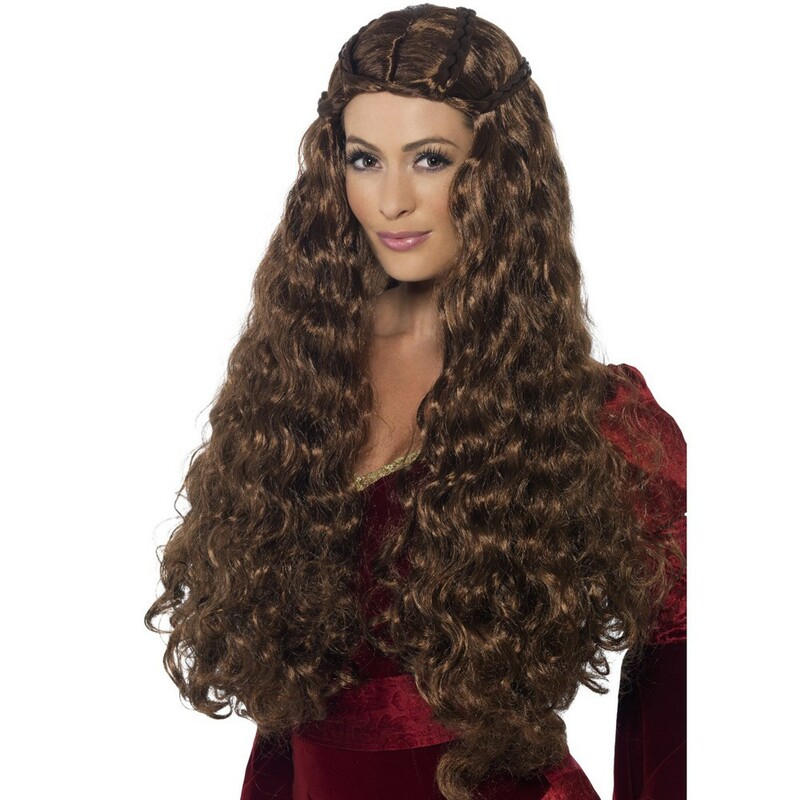 Medieval Princess Wig including a long brown Wig with a curled design and plait details – Ideal for a Historical theme, or any fancy dress occasion! Step back in time with this gorgeous Medieval Princess Wig. This pretty Medieval Princess Wig comes complete including a long brown Wig with a curled design and plait details. This extra-long brunette Wig features a curled design, with decorative plait details along the top of the Wig for a truly royal look. Perfect for a medieval theme, a Historical theme, Book Week, a TV & Film theme, a Fairy Tale theme, or any fancy dress occasion, this Medieval Princess Wig will be sure to impress no matter what the occasion! So let the royal festivities begin with this fantastic Medieval Princess Wig.